The Tone Hammer 500 features the legendary “Aguilar sound” in a small, lightweight design. 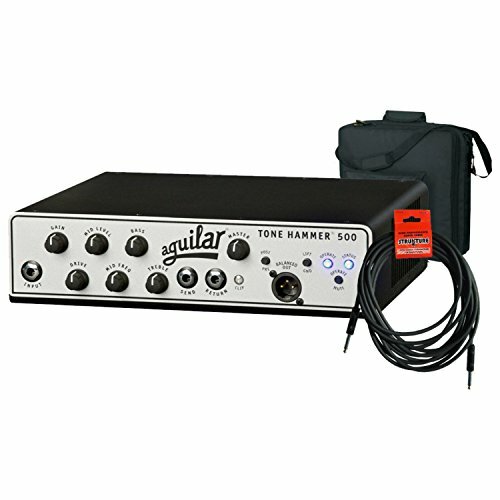 Weighing in at only 4 lbs., this powerful bass amp is small enough to fit into the accessory pouch of most gig bags. The Tone Hammer 500 is the perfect choice for bass players on the go. Following on the heels of the massively successful Tone Hammer 500 amplifier, the Tone Hammer 350 retains the big sound of its predecessor within an even smaller footprint. 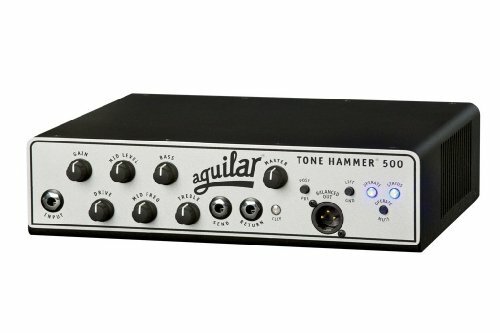 Giving the Tone Hammer 350 its flexible tone-shaping capabilities is Aguilar's Tone Hammer preamp, the same preamp used in the Tone Hammer D.I./preamp pedal, which has become a favorite of bass players all over the world. Weighing only three lbs., the Tone Hammer 350 features bass, treble and fully sweepable midrange controls. The Drive control utilizes Aguilar’s proprietary AGS circuit which adds subtle distortion and midrange punch to the sound. Brand new for 2012, the Tone Hammer 350 makes a big sound but leaves only a tiny footprint! Easy to purchase as well as easy to carry, players on a budget can now have it all! This amp has the sound, the look, and it's assembled at the Aguilar factory in NYC along with all of our legendary bass heads. The DB 751 features an improved preamp that combines the legendary tube driven tone of the DB 750 with greater EQ control. A perfect combination of raw power and excellent tone, the DB 751 continues the legacy set by the world famous DB 750. Delivering 975 Watts at 2 ohms and 750 Watts at 4 ohms this amp has the headroom you need to play any size venue. The DB 751 features an all-new hybrid preamp that combines the legendary tube-driven tone of the DB 750 with active boost and cut for greater EQ control. A perfect combination of raw power and excellent tone, the DB 751 continues the legacy set by the world-famous DB 750. Delivering 975 Watts at 2 ohms and 750 Watts at 4 ohms this amp has the headroom you need to play any size venue. Do you rock an Aguilar Tone Hammer 500 bass head? You know how you can keep your head protected on the way to the gig? With the Aguilar Tone Hammer 500! 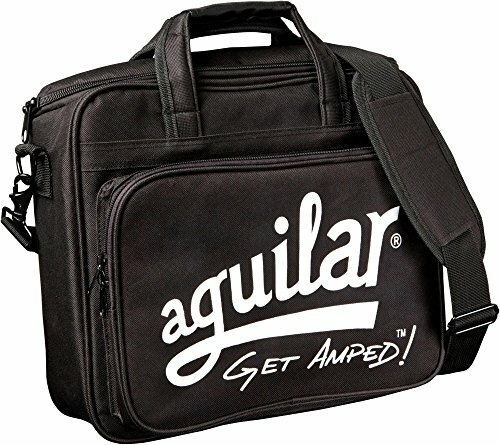 Carry Bag This tough, good-looking cover is designed to fit Aguilar's Tone Hammer 500. It's exterior is durable Cordura nylon, and it has a padded plush interior. You've got an awesome pro bass head. GearNuts says be smart and protect it against dust, scratches, and the elements - with the Aguilar Tone Hammer 500 Carry Bag! 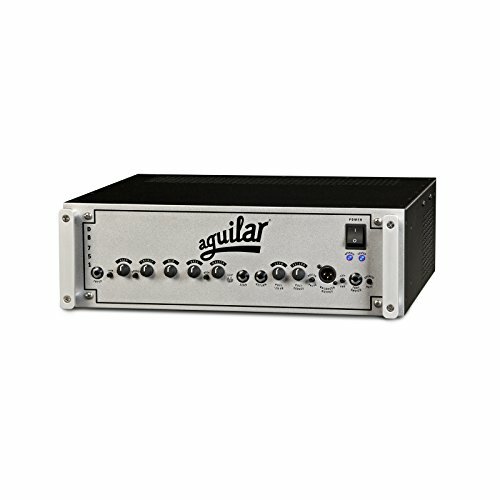 Looking for more Aguilar Bass Amp Head similar ideas? Try to explore these searches: Christmas Wreath Lacrosse Ornament, Rose Pierced Tablespoon, and Emma Full Comforter Set. 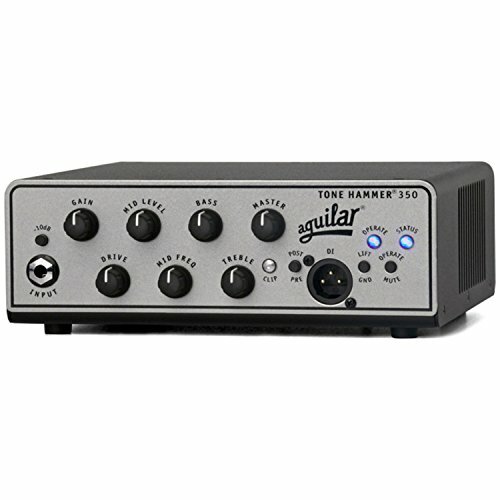 Look at latest related video about Aguilar Bass Amp Head. Shopwizion.com is the smartest way for online shopping: compare prices of leading online shops for best deals around the web. 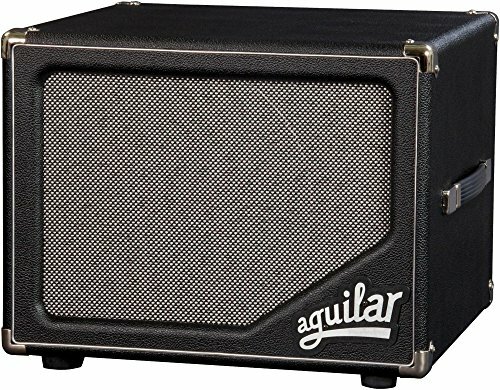 Don't miss TOP Aguilar Bass Amp Head deals, updated daily.